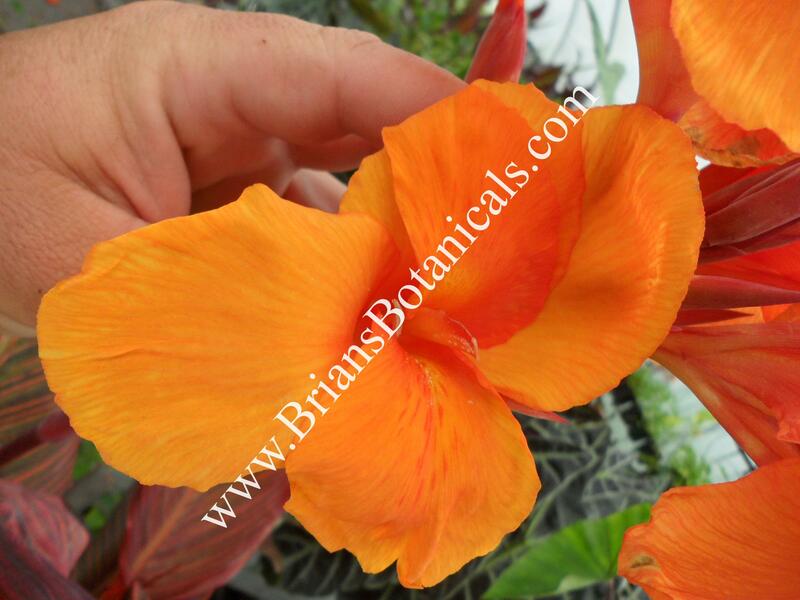 Canna B. Marley is a mutation found at AG3 tissue culture lab. Mike Rink the owner of AG3 was cloning Canna Pretoria and found a sport that was producing dark maroon leaves with streaks. Mature plants grow 6 feet tall and produce a large orange flower. Foliage is dark maroon with pink and orange variegated streaks.